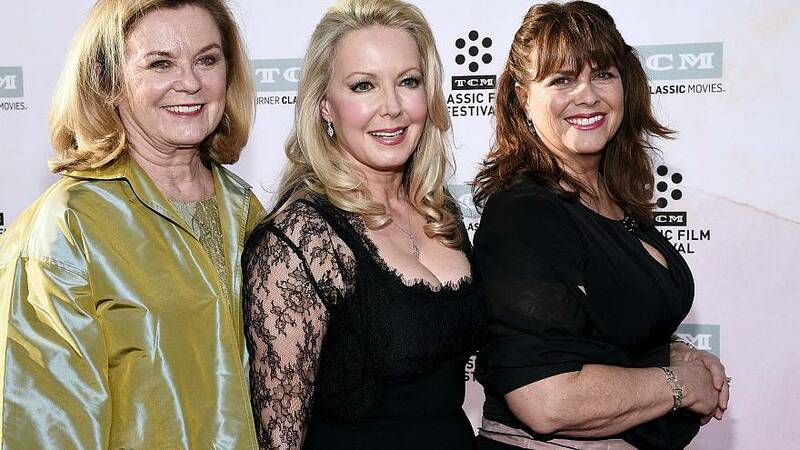 Heather Menzies-Urich, best known for portraying Louisa von Trapp in the 1965 film "The Sound of Music," died Sunday night in Frankford, Ontario. She was 68. Menzies-Urich, the widow of actor Robert Urich, had been recently diagnosed with cancer, according to Ryan Urich, her son. Menzies-Urich's first screen credit came in the TV series "The Farmer's Daughter" in 1964. She was then cast as the third-oldest of the seven von Trapp children in "The Sound of Music." The film adaptation of the Rodgers and Hammerstein musical was a box office smash that won five Academy Awards, including Best Picture. Kym Karath, who played Gretl, tweeted, "I am filled with infinite sadness." Ted Chapin, president and chief creative officer of the Rodgers & Hammerstein Organization, praised Menzies-Urich's efforts to keep the movie fresh for new generations. "Heather was part of 'the family.' There is really no other way to describe the members of the cast of the movie of 'The Sound of Music.' And of 'the kids,' Heather was a cheerful and positive member of the group, always hoping for the next gathering," Chapin said. "We are all lucky to have known her, and she will happily live on in that beautiful movie. We will miss her." Her other feature films credits included "Hawaii," "The Computer Wore Tennis Shoes," "Piranha," and "Endangered Species. Her TV credits included "Dragnet," "Bonanza," "Marcus Welby M.D." and "The Bob Newhart Show," and she starred as Jessica 6 in the TV series "Logan's Run." Menzies-Urich's family moved from Canada to the Los Angeles area when she was a teenager. She was 14 when she landed the part of Louisa in "The Sound of Music," the landmark 20th Century Fox production directed by Robert Wise, which starred Julie Andrews and Christopher Plummer. Menzies-Urich met her future husband while filming a commercial for Libby's Corned Beef Hash in the mid-1970s. Urich died in 2002 of a rare form of cancer. Menzies-Urich created the Robert Urich Foundation and devoted most of her time in recent years to the organization, which raises money for cancer research and support for cancer patients. In addition to her son, Menzies-Urich is survived by two other children, numerous grandchildren and a great-grandchild.